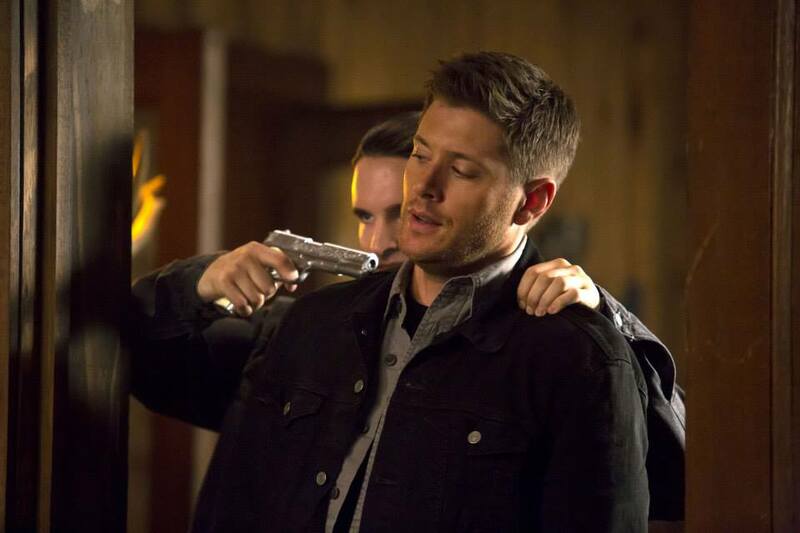 It was no ruse last week, Dean is back to being Dean again. No more demon, but he does still have the Mark of Cain. But for now, the boys decide to take a bit of a breather, some "we" time, as it Dean called it. But, Dean's feeling a bit ants-in-the-pantsy, and would rather get back to the grind than sit around drudging in his crap. So he and Sam head off to check out some strange deaths, and we head straight into a classic Supernatural episode. Even more classic than early season episodes, as this one brings back someone we met in an earlier season, the newly-turned werewolf Kate, from back in season eight. Of course, they don't know it's her at first, just that there's some werewolf in town killing people and eating their hearts, but eventually they track her down. But, despite them trying to ruse us into think she's been doing some heart-eating, it's not true. It turns out, she turned her sister Tasha (she was going to die, so that makes it okay), who doesn't share quite the same no human eating mentality. Kate thinks she can save her, which is why this episode is happening. You know, for some brother symmetry action. The rest of the episode is pretty straightforward, really. Not a lot of twists and turns into one to go over, but here's the haps. They track Kate down and Dean lies that they now have a cure for werewolves. At first I was thinking what, since when? But then yes, he was just lying to get Kate to lead them to Tasha, which she does so happily, hoping they can get a cure and be sisters again. Alas, it is not meant to be. Particularly since Tasha has truly gone off the deep end. She's even turned a couple burly dudes herself to join her new pack. While they take on Sam and Dean (to no avail, duh), Kate ends up having to kill her sister herself, which everyone should've seen coming a mile away once she revealed she had a silver dagger earlier on. But obviously this is a parallel to the whole Sam and Dean deal, as clearly Sam never would've killed Dean despite him being a demon. Does that make him stronger or weaker or what? Who knows. Anyhow, Kate escapes off into the great unknown. So long as she can keep from eating people, the brothers Winchester will leave her be. But the real meat of the episode was in the stuff going on between Sam and Dean. 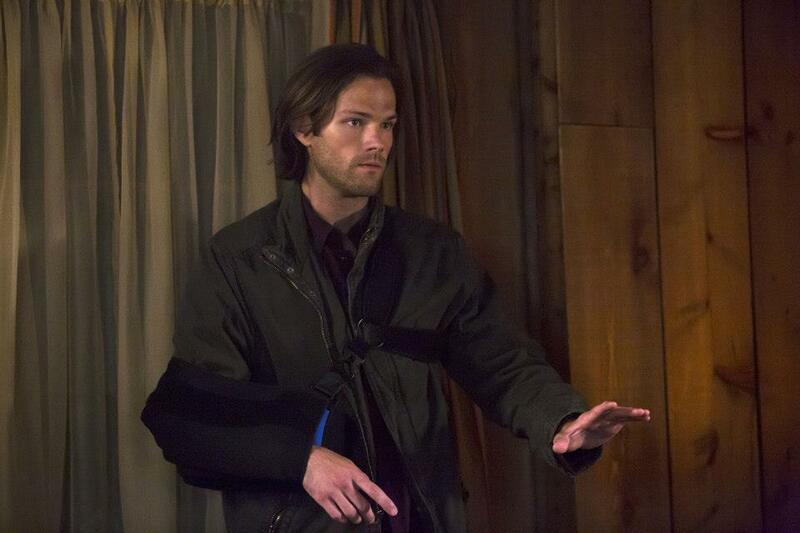 Sam doesn't think Dean is really ready to be back hunting after what happened. But Dean is also wondering if Sam isn't quite ready either, considering he helped a human sell his soul, which is obviously a big hunter no-no. But in their patented end of episode brothers in or near the Impala chat, Dean says that he needs to keep working in order to not just be stewing indefinitely. So it's back to hunting for now. Until they get a lead on what to do about the Mark of Cain, obvs. - "No Hunting" sign in the opening scene. Har har. - I know they were trying to fake us into thinking Kate did the killing by showing that friendship bracelet a few times, but I feel like I've seen that fake out a bajillion times before at this point. - Although this episode was fairly simple, I did enjoy it getting back to the saving people, hunting things, the family business that is the backbone of the show. It was definitely more of a classic episode in that sense, and although dealing with werewolves, which obviously we've seen a few times, had a nice twist on the whole thing with the sisters. - Next week is the 200th episode! Can you believe that? 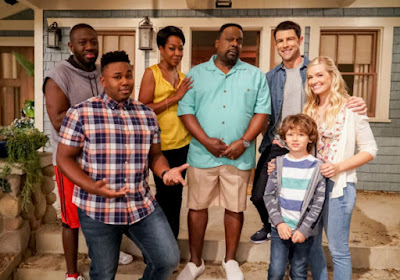 200 episodes! And, there will be singing. Oh gosh. I hope that turns out well, because a lot of times when shows do a musical episode (apart from Buffy) it turns out to be a train wreck. - They're making an awfully big deal about "what Sam did" while trying to find Dean, but I have to say I'm kind of on Sam's side here. He wasn't really trying to get that guy to sell his soul, he was just trying to lure a demon. And to what lengths would Dean have gone to? I mean, he basically made Sam give himself over to an angel to save him, and Sam didn't even know that was going on. Apples and oranges, I guess, but still. I'm not sure Sam really "went dark" as much as they are trying to push that he did. Dean: That sling come with a slice of crybaby pie along the side? Sam: Or she likes bad boys. Dean: Well, wait 'til she gets a load of us. Dean: All right, so what, you want to nuance this thing? Dean: You're a regular psycho Brady Bunch.